SAM.I. at Civil Protect 2018 in Bolzano | SAMARITAN INTERNATIONAL e.V. On the weekend of 23-25 March, SAM.I. was at the Civil Protect trade fair in Bolzano, South Tyrol, Italy. South Tyrolean SAM.I. member organisation White Cross (WK), who have been present at the regular civil protection trade fair for many years, invited the network join their exhibition space. At the SAM.I. 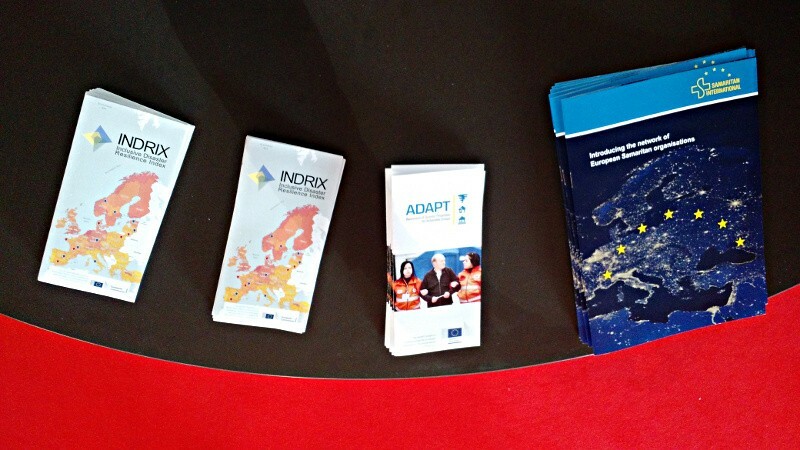 info booth, visitors of the trade fair could learn about the network and receive information about concluded European projects, such as ADAPT or INDRIX. Videos of large joint European events such as the Contest 2016 or the annual first aid flash mobs were also shown. 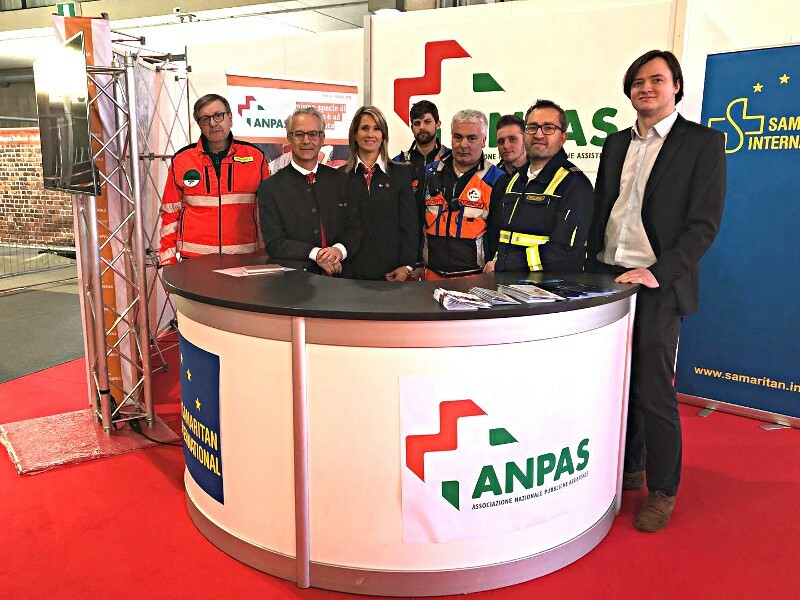 The booth was shared with the colleagues from ANPAS, who were also invited to the White Cross’s presence at Civil Protect 2018 – therefore WK had both their national as well as their European network present in this year’s exhibition.